i love donuts because whats not to love right?! 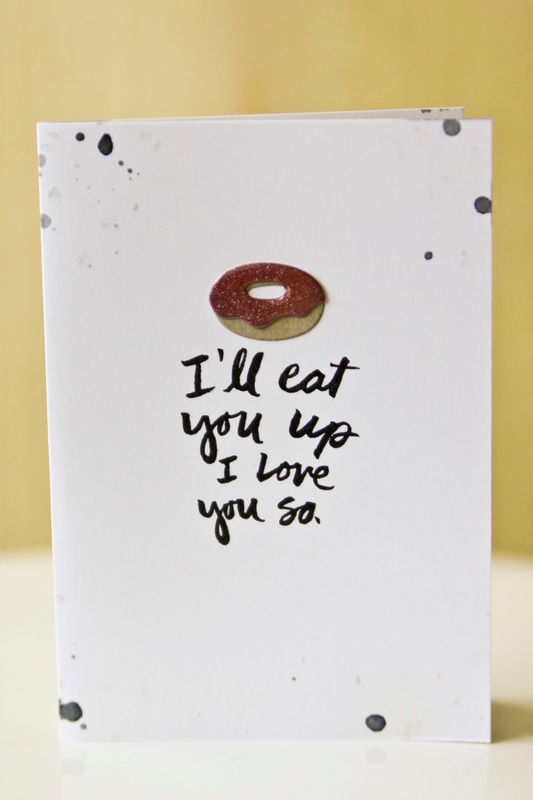 so i've been wanting to create some cards using the cute little donut die from taylored expressions. and this sentiment from the essentials by ellen clear stamp love you so set was too perfect! 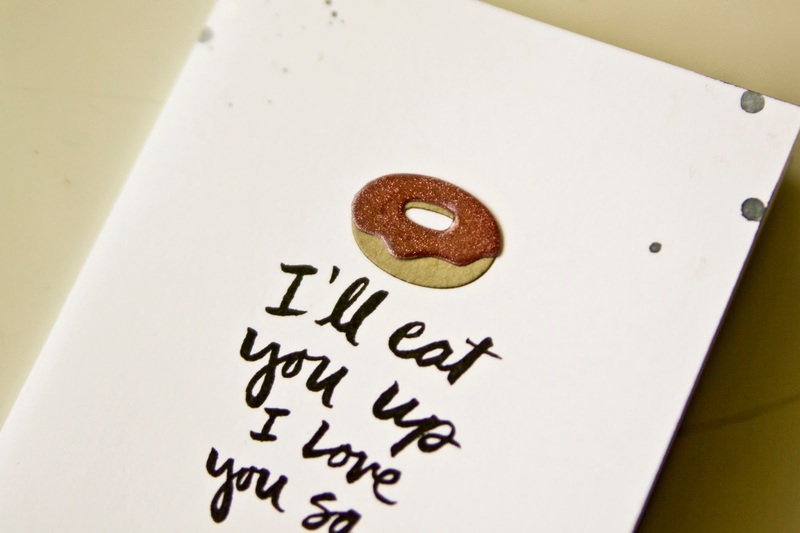 i die cut the donut from desert storm cardstock and pink glitter paper (sorry it looks so brownish in the photos). then i coated the glitter die cut with a good layer of glossy accents and let it dry overnight for a raised "epoxy accent" look. i added some black splatter and ta-da!